That would explain my inconsistency in blogging. My apologies.. A good sewing hiatus excuse. However You better believe it I was sewing right up to the day before I left. I had three projects to complete for a friend and I figured I could make a quick little something for myself. 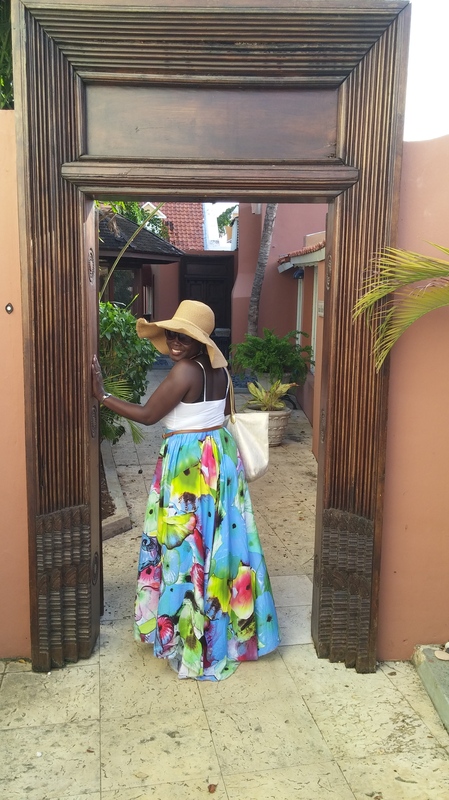 Here it is my fabulous maxi skirt that I wore my last day on Honeymoon!! I was originally going to make a dress but with the short time I had, I could only muster up a skirt so here goes. 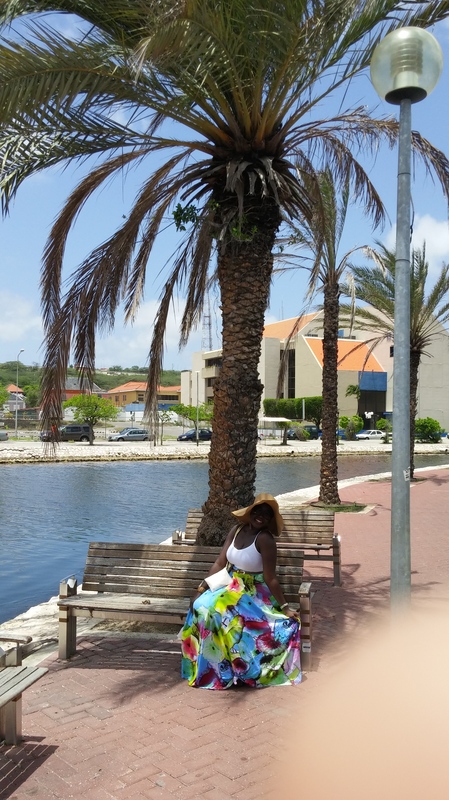 It can be converted to a maxi dress which I wore to the pool after that same day. Making it a two outfit day. If there was ever a piece I felt fabulous in this is definitely one of those! I was feeling myself can you tell. 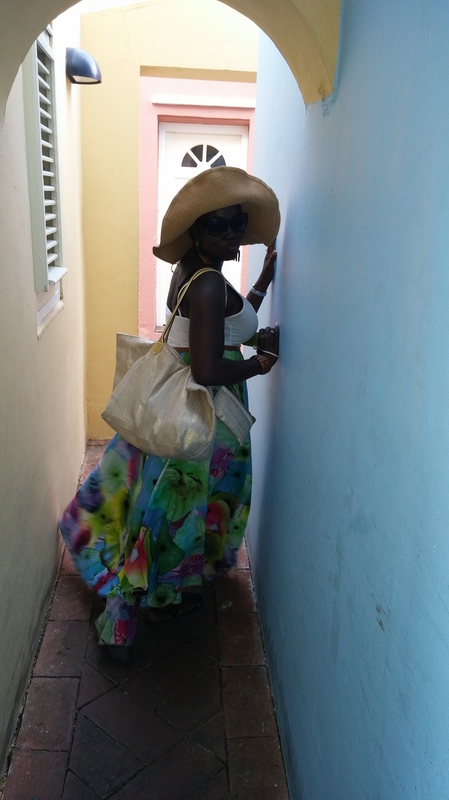 It was a flowy coolness for the Caribbean weather that day coupled with my hat, bag and tank accessorized it well. Here are a few shots throughout the day of me and the skirt. 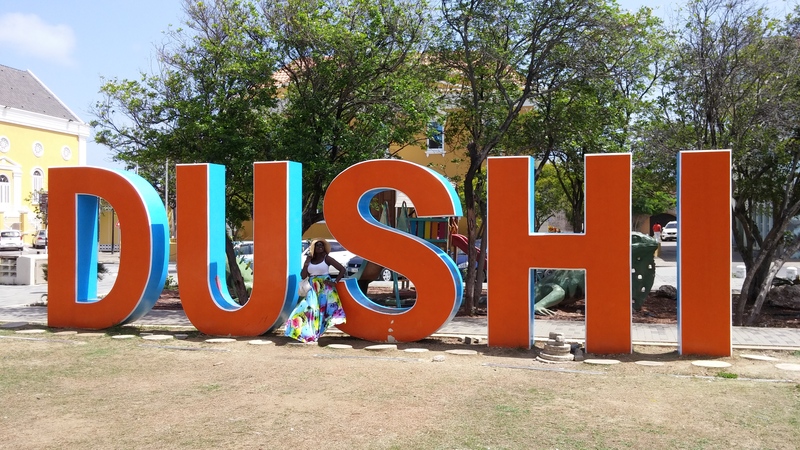 I put the U in Dushi!! Beautiful art! Look back! Hubby did a great job here!! End of a long day!! Hideaway!! I trust you all had a good summer however you spent it. I look forward to the coming months of projects and thank you for your continued support!! Next postFall Fall Fall!!! Scarves Scarves Scarves!!.. It’s here again! CONGRATULATIONS!!!!!!!!!!!!! That skirt is absolutely fabulous and perfect! Great job Uta . I need for you to feature me too with the pieces you made for me will send u pics. Keep up the good work and congrats to you both again. Congratulations! Wow your skirt is beautiful, love the fabric. congratulations girl, wishing you both the best!!! Your skirt is gorgeous, well done! Beautifully done! The design of the skirt stayed true to the colours and flow of the fabric. Congrats….and that skirt is beautiful!!! Fabulous indeed! You look fantastic, and you’re OWNING it! Great skirt.